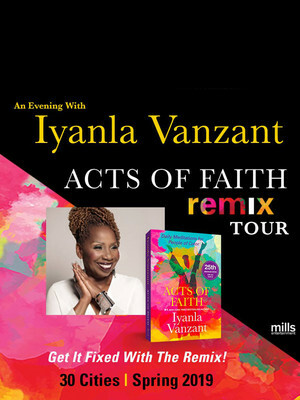 Join Iyanla Vanzant for an evening of inspiration & insightful advice! A fantastical mass of domes and minarets, this Atlanta landmark was originally built for the city's Shriners organization, inspired by the temples of the far east. Before its completion it was sold to movie mogul William Fox and enjoyed great success as a movie palace, right up until the 1960s when the rise of the multiplex forced it into decline. Following a fundraising campiagn from Atlanta residents, it was reopened as a theater in 1975, and continues to host hundreds of shows every year. 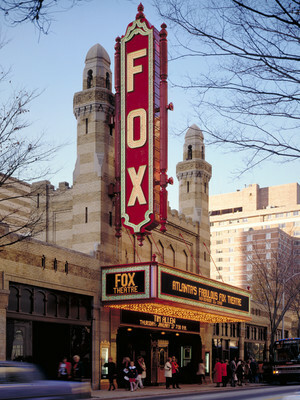 Please note: The term Fabulous Fox Theater as well as all associated graphics, logos, and/or other trademarks, tradenames or copyrights are the property of the Fabulous Fox Theater and are used herein for factual descriptive purposes only. We are in no way associated with or authorized by the Fabulous Fox Theater and neither that entity nor any of its affiliates have licensed or endorsed us to sell tickets, goods and or services in conjunction with their events.